The first step is to cover up the concrete or wood floor. 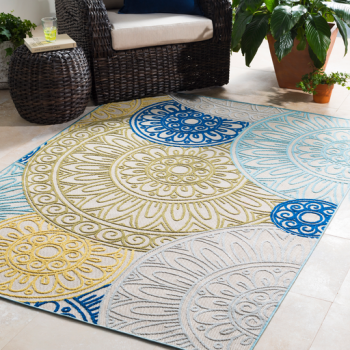 Outdoor rugs are the perfect solution! You’ll be surprised on how an outdoor rug can easily bring life and color to your backyard or patio. 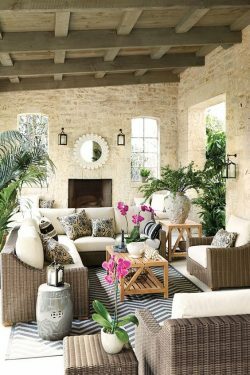 Whether you have a large backyard or a small balcony patio, designating a comfortable seating area is key when designing your outdoor space. You can lounge on an outdoor sectional by the pool, or if you’re limited on space, a charming garden bench or a cozy outdoor rocking chair will also do. Having the option to dine outside is one of the many reasons why summer is oh, so lovely. 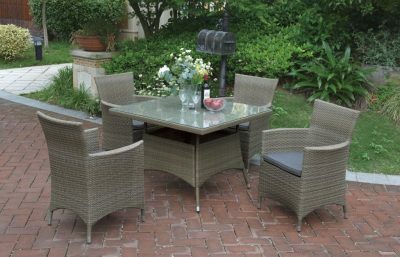 You can wine and dine with your guests on a outdoor dining table or enjoy brunch on the patio with your cozy bistro set. 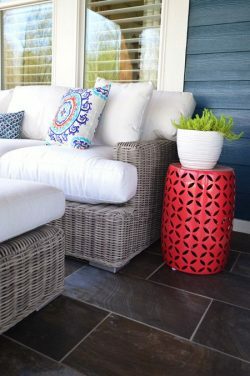 From outdoor lighting, to toss pillows, plants, and garden stools, don’t forget to personalize your outdoor living space! It’s what makes your space comfortable and cozy under the summer time sky. 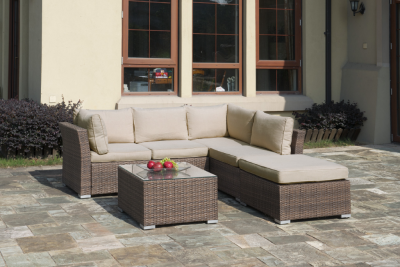 Do You Need Outdoor Furniture? SHOP THE GREAT OUTDOOR SALE NOW! What’s in Your Entryway? What’s on Your Coffee Table?